Ben Birchall – WPA Pool/Getty ImagesCould you make the cut? 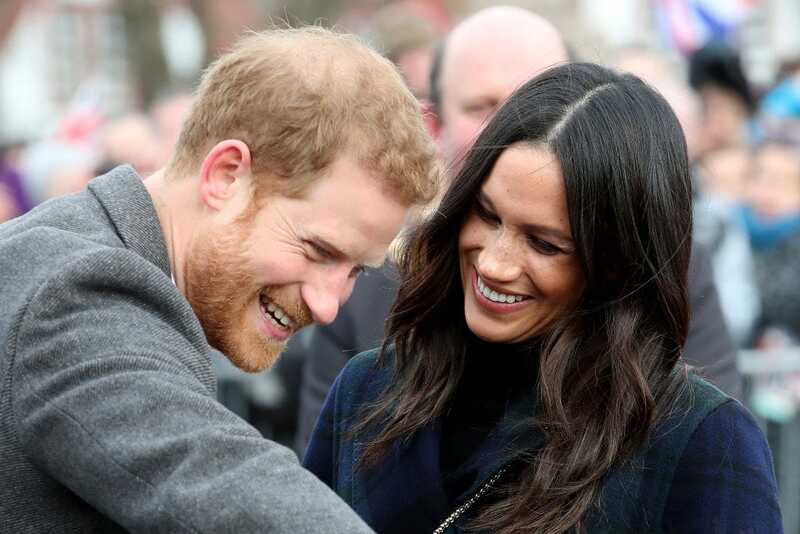 Prince Harry and Meghan Markle have decided to invite 2,640 extra people to watch part of their wedding from the grounds of Windsor Castle. Of these, 1,200 will be picked by nine regional Lord Lieutenant offices. They will also invite hundreds of schoolchildren, charity workers, Windsor locals and people employed by the wider royal family. Lord Lieutenants are the Queen’s representatives in each region of the UK. Kensington Palace told Business Insider each lieutenant can pick attendees in the way they see fit, as long as they fit the criteria, which includes people of different backgrounds and ages. Prince Harry and Meghan Markle announced earlier today that they will be inviting 2,640 extra people into the grounds of Windsor Castle to watch part of their royal wedding. They want the day “to be shaped so as to allow members of the public to feel part of the celebrations too,” according to a statement from Kensington Palace Friday morning. GettyWindsor Castle’s grounds. St George’s Chapel is on the left. The biggest single group of extra guests will come from the British public at large, and will be picked by Lord Lieutenants, official representatives of the Queen. They cover nine separate regions: East Midlands and East of England, the North East and Yorkshire, North West England, Northern Ireland, Scotland, South East England, South West England, Wales, and the West Midlands. Each area will pick a share of the 1,200. Kensington Palace told Business Insider that the officials have been given a broad remit to fill up their lists as they see fit. If you live in Britain and are particularly keen to come, it could be worth making yourself known. 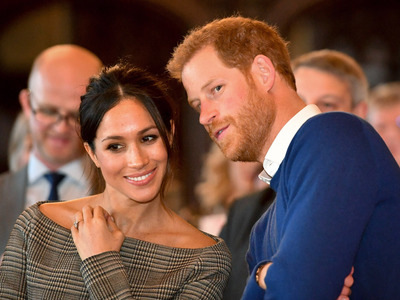 The couple is also inviting 200 people from a range of charities and organisations with which they have a “close association,” including those for which Prince Harry serves as patron. Some of these include The Invictus Games Foundation, which runs an Olympics-style competition for wounded soldiers, children’s charity WellChild, and The Royal Foundation. Some lucky local schoolkids will also be able to join in the fun. Kensington Palace’s statement said that 100 pupils from two local schools will come. One is The Royal School, Great Park, Windsor and the other is St George’s School, Windsor Castle. This includes people who live on the castle grounds, and people who go to church where the two will marry. The final group are people who work for the Royal Households and the Crown Estate, a group which includes people who work for Harry, the Queen and other royals, or more broadly for assets and institutions they’re involved with. 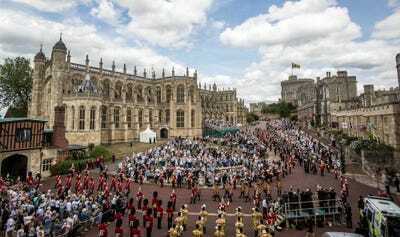 We already know that the wedding service will begin at midday on May 19 at St. George’s Chapel, Windsor Castle. The additional attendees will be invited into the castle grounds to watch the couple and their guests arrive. The Dean of Windsor will conduct the service and the Archbishop of Canterbury will officiate as the couple make their vows. The ceremony itself will have a more exclusive guestlist. 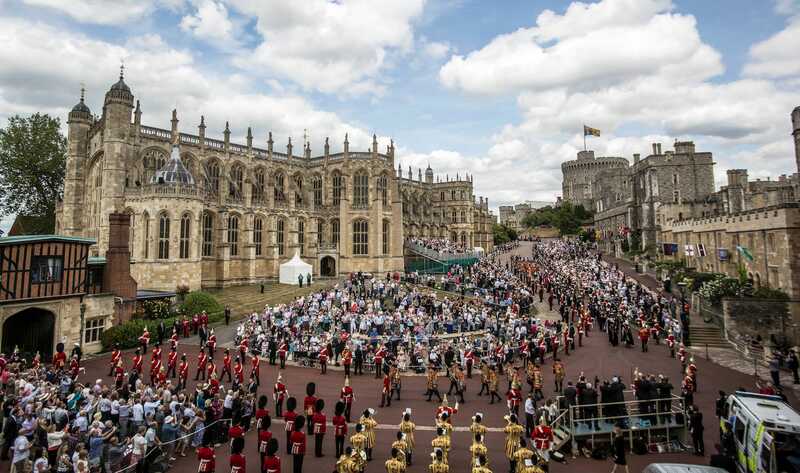 At 1 p.m. Harry and Meghan will embark on a carriage procession from the chapel through Windsor town. And at this point the additional 2,640 guests will get to watch the carriage procession as it departs from the castle. Once the newly married couple return from the procession they will join their guests from the congregation for a reception at St George’s Hall. Following this, Prince Charles will host a private evening reception for the couple and their close friends and family.